Bangladesh Election Commission Secretary Helal Uddin Ahmed on Tuesday (Aug 28) said the 11th parliamentary election will be held in the last week of December. “The EC is planning to use Electronic Voting Machines (EVMs) in 100 electoral constituencies . . . 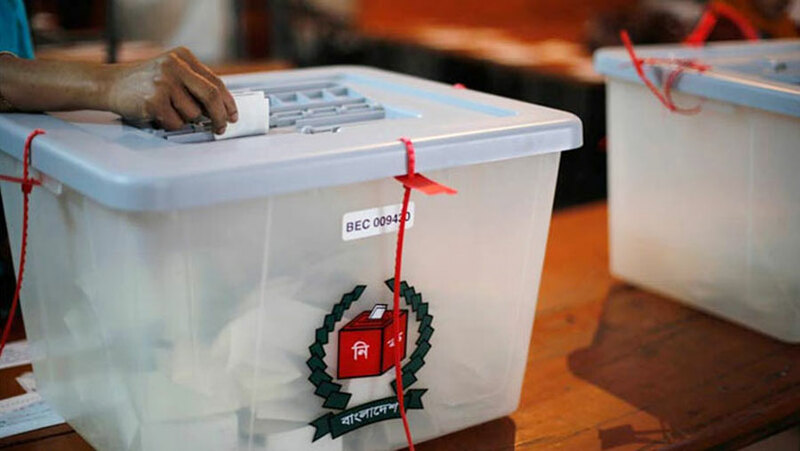 The 11th parliamentary election will be held in the last week of December,” he informed the journalists at his office at Nirbachan Bhaban in city’s Agargaon area, local media reports said. Ahmed said the Election Commission has already sent a proposal to the Planning Ministry to buy 1.50 lakh EVMs. “The commission would be able to use EVMs at one-third constituencies if everything goes as per our plan,” he added. The EC is taking all-out preparations to hold the election in December, and the commission has already completed 80 percent works in this regard, he added. He said an amended law will be needed to use EVM, and the commission will sit again on Aug 30 to discuss changes to the Representation of People Order (RP0) 1972. Later, the commission will hold talks with the political parties. After that, the EC will decide whether EVM would be used or not in the upcoming polls.